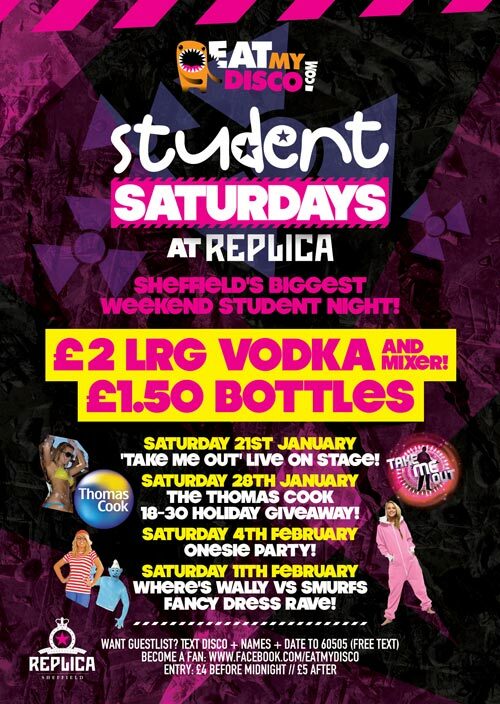 A5 flyer design for Student Saturdays, a destination Student night at Replica in Sheffield. Posted on 10/04/2012 by admin. 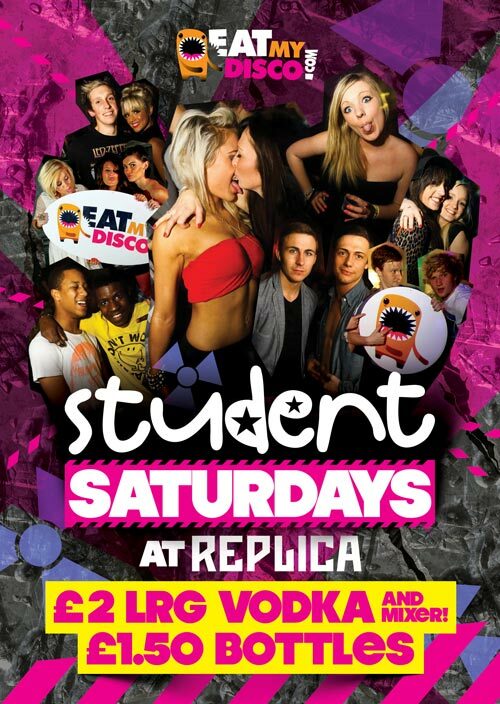 This entry was posted in Flyer Design. Bookmark the permalink.